Harry Patch, the last surviving soldier to have experienced the horror of the first world war trenches, died yesterday aged 111. He fought at the battle of Passchendaele in 1917, when 70,000 British troops were killed. Like Henry Allingham who also founght in the first world war and died last week at the age of 113, Patch was anti-war saying that he tried not to kill his German counterparts, attempting only to wound them in the legs. 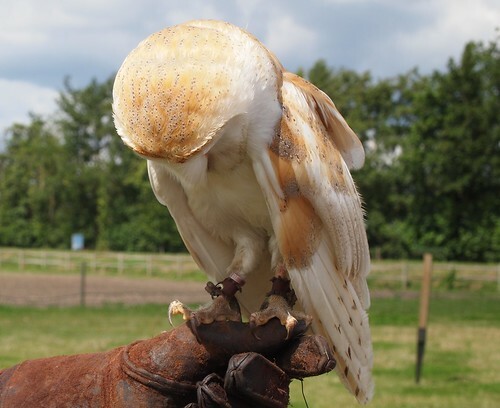 The Barn Owl is the most widely distributed species of owl, and one of the most widespread of all birds.They are a pale, long-winged, long-legged owl with a short squarish tail measuring between 25-45 cm in overall length, with a wingspan of about 75-100 cm. They do not ‘hoot’ rather produce the characteristic shree scream.